Last week I got an inquiry from a reader about the prescription drug Adderall, asking in particular about the heart risks for athletes who might be taking the drug. Although we’ll be talking about Adderall in particular, much of the information here will apply to other stimulants as well. Like any drug, there’s both good and bad with Adderall. For athletes who legitimately need the drug, though, the heart risks appear to be small provided that the athlete doesn’t have any serious underlying heart problems. The drug can probably be used safely if both athlete and physician are aware of the potential risks. Adderall is the brand name for a central nervous system stimulant composed of a 3:1 mixture of the salts of d-amphetamine and l-amphetamine. The U.S. Food and Drug Administration (FDA) has approved its use for the treatment of attention deficit hyperactivity disorder (ADHD) and narcolepsy. The drug is available in immediate release and extended release forms (Adderall XR) in dosages of 5-30 mg. Generic formulations are also available. The U.S. Drug Enforcement Agency (DEA) has placed Adderall on its Schedule 2 list of drugs–those with a high potential for abuse, with the potential for leading to severe psychological or physical dependence. There are both federal and state regulations that apply to prescriptions for Schedule 2 drugs. In my home state of Mississippi, a handwritten prescription is required, refills are not permitted, and the prescription must be filled by a pharmacy within 90 days. There are stiff penalties for trafficking in Schedule 2 drugs. In the United States, the prevalence of ADHD in children age 4-17 is nearly 10% and the prevalence in adults is nearly 5%. About two thirds of affected children are treated with prescription drugs. What are the rules governing the use of Adderall by athletes? Does Adderall provide a competitive advantage? For NCAA athletes, all stimulants are banned. There is a policy which allows for medical exceptions for banned substances that are used for legitimate medical purposes. In the case of Adderall, pre-approval from the NCAA is not needed for use, but the athlete must maintain documentation from his/her physician in the on-campus medical record that includes the diagnosis, course of treatment, and current prescription. If such an athlete is tested positive for the stimulant, the documentation is then used, after the fact, to obtain an exception from penalty. All stimulants are included in the World Anti-Doping Agency’s list of substances that are banned in-competition. The WADA banned substance list has been adopted by all sports federations of the Olympic movement and many others as well. A complete list of signatories can be found at the WADA website. Athletes with a legitimate medical need for a banned substance can apply for a therapeutic use exemption (TUE). Information about the process for obtaining a TUE is posted at the WADA website. WADA recommends reassessment for the need for continued treatment every 3-4 months. Adderall and other stimulants are banned by the National Football League (NFL), Major League Baseball, National Basketball Association (NBA), Major League Soccer, but athletes can obtain a therapeutic use exemption. Interestingly, nearly 10% of Major League Baseball players have obtained such an exemption. The drug is banned completely in the National Hockey League (NHL). When used to treat ADHD, particularly as part of an comprehensive treatment plan that includes psychological, educational, and social measures, Adderall can be effective in reducing the inattentive or hyperactive-impulsive symptoms that are characteristic of the disorder. In individuals without ADHD, the effects of Adderall are not characterized as completely. Nonetheless, there is reportedly increasing use of Adderall in this situation, particularly among college students and various athlete groups. In the college setting, students take stimulants like Adderall to increase their attentiveness and reduce their fatigue, especially in situations such as studying for exams or completing end-of-term projects. There is also ample reason to believe that stimulants such as Adderall might provide a competitive advantage for athletes. 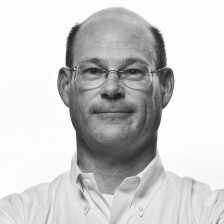 From my vantage point, this issue doesn’t seem to be very well studied (in large part because of the bans), but there is at least some evidence to show that these drugs can produce increases in both strength and endurance, better concentration, and improve reaction time, especially when fatigued. For Adderall, like any prescription drug, information about the known risks can be found in the drug’s package insert. Amphetamines have a high potential for abuse. Administration of amphetamines for prolonged periods of time may lead to drug dependence and must be avoided. Particular attention should be paid to the possibility of subjects obtaining amphetamines for non-therapeutic use or distribution to others, and the drugs should be prescribed or dispensed sparingly. Misuse of amphetamine may cause sudden death and serious cardiovascular adverse events. A variety of side effects are mentioned in the package insert, including emergence of new psychotic or manic symptoms, aggression, long-term suppression of growth, seizures, and visual disturbances. Mention is also made that the effects of long-term usage are not well studied and that the usefulness of the drug for any particular patient should be carefully assessed periodically. The package insert goes on to discuss cardiovascular warnings. In children and adolescents, sudden death has been reported in patients treated with Adderall who also have heart problems like structural heart abnormalities, cardiomyopathy, or heart rhythm abnormalities. Patients with any of these heart problems are advised NOT to take Adderall. In adults, sudden death, stroke, and heart attack have all been reported in patients taking Adderall at typical prescription dosages. 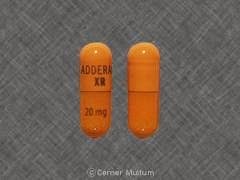 It is recommended that patients with structural heart abnormalities, cardiomyopathy, serious heart rhythm abnormalities, or coronary artery disease should NOT take Adderall. For any patient with high blood pressure, special precaution is advised when prescribing Adderall. Because Adderall is known to increase both the heart rate and blood pressure, special caution and careful follow-up is recommended. Recommendations are offered for the cardiac evaluation of patients who are being considered for treatment with Adderall. Attention should be devoted to a careful medical history, family history (with particular attention to sudden death, ventricular arrhythmias), and physical exam that focuses on heart and vascular health. Additional investigation with EKG and echocardiogram may be indicated depending on the findings. Finally, patients treated with Adderall who develop any serious warning signs of heart disease (eg, exertional chest pain/discomfort, syncope or blacking out) should be re-evaluated. In summary, Adderall is a stimulant that is effective for the treatment of patients with ADHD. Although prescription use of the drug is tightly controlled, there is ample prescription mis-use of the drug among individuals without ADHD or other medical reason for its use. For athletes, the drug is performance-enhancing and is banned by many sports organizations. Whatever its use, Adderall carries a small but real risk of serious cardiovascular side effects, especially among users with underlying heart conditions, whether known or unknown. Athletes and their doctors should be aware of these risks and consider cardiovascular screening and careful cardiovascular follow-up when this drug is used. Can you comment on how to adjust heart rate training when using adderall (prescribed for ADD)? Athletes who are taking Adderall should have a thorough discussion with their doctor(s) about their plans for exercise and sport. There are certainly cardiovascular risks associated with this medication. Together, you need to settle on “what’s safe?”. Adderall is just one of many medications that may affect the HR–both at rest and with exercise. These effects are not uniform among athletes, though. Your individual response may be negligible or great. In circumstances where the HR is elevated due to some medication or to some medical condition, I’ve read where coaches tend to be more “tolerant” of a high heart rate during training sessions where HR is ordinarily capped.